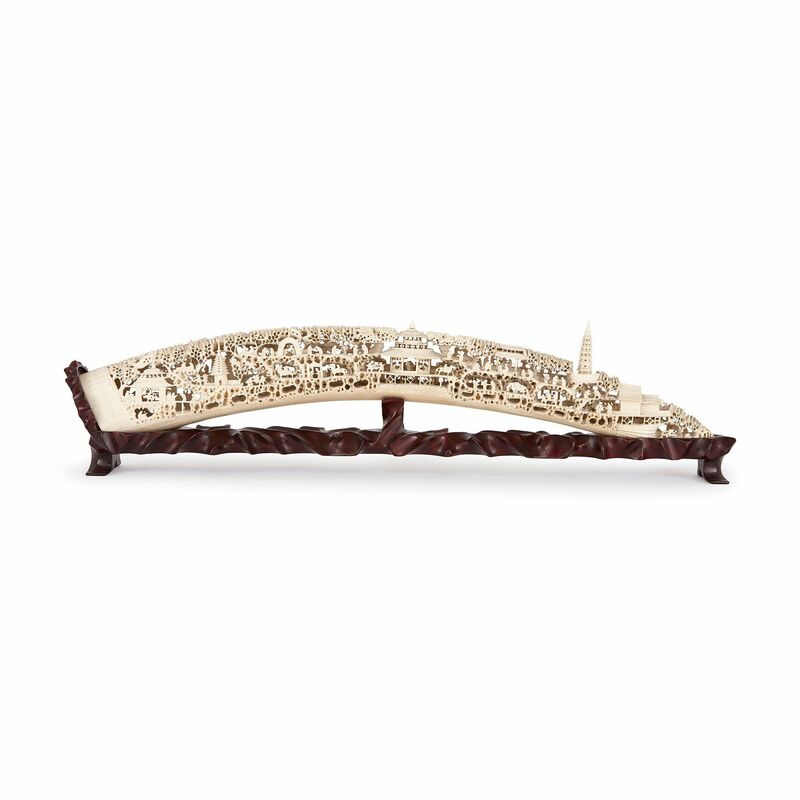 The level of detail depicted on this finely carved ivory tusk is astonishing: each individual feature is rendered with the highest level of precision. 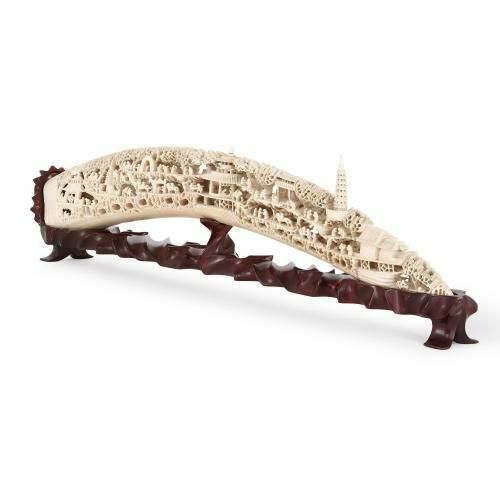 The piece is formed as an entire curved tusk set into a wooden base support and has been finely carved to show buildings and figures within a landscape of trees. 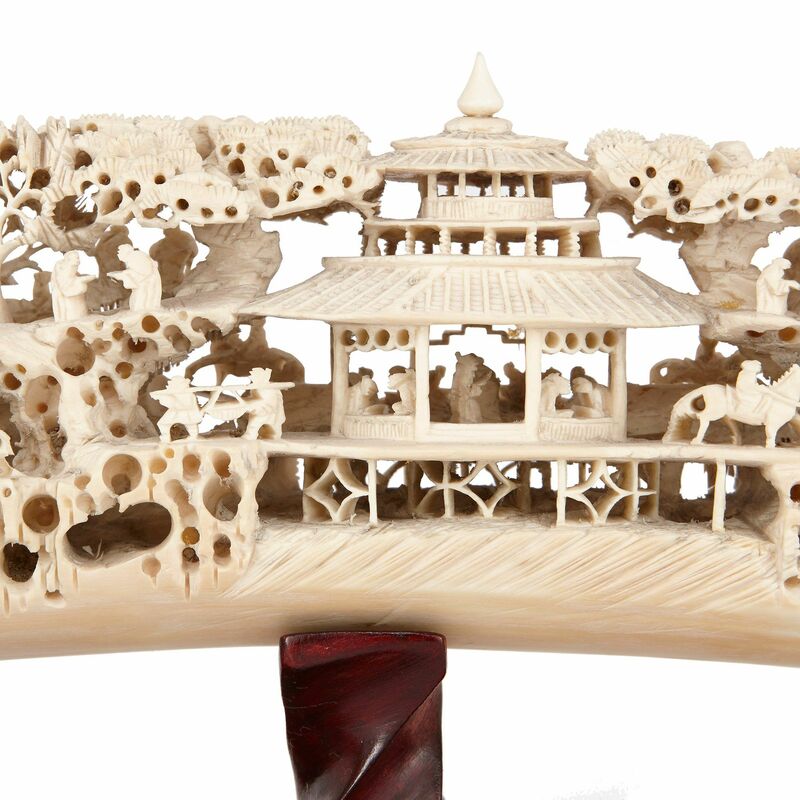 To the centre there is a large pagoda with figures inside, and there is a tall tower shown to the right hand side of the piece.